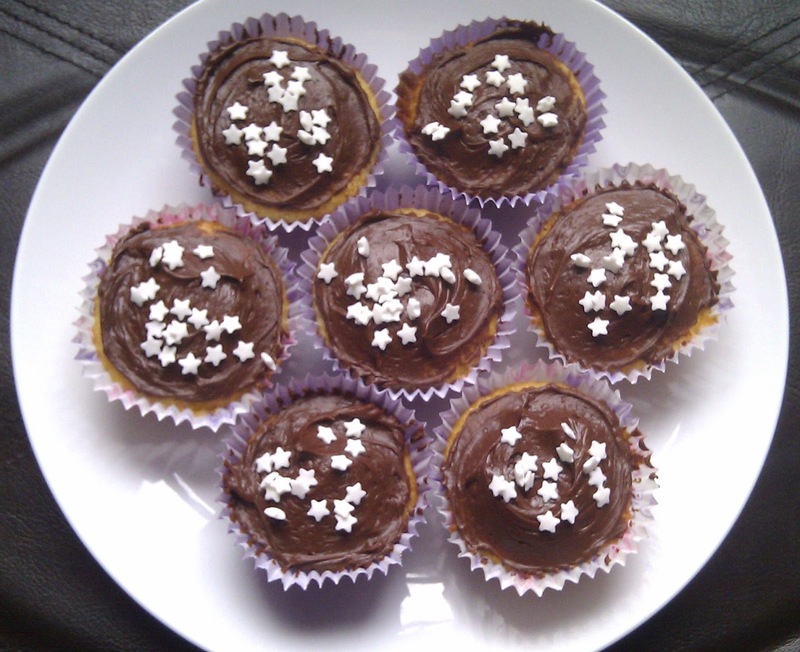 I think I'm becoming a domestic goddess! Well, maybe not. But I've started doing some baking recently and I'm loving it ! My "Big Spring Clean" has made way for a bit of space in my kitchen cupboards to stock up on baking ingredients, bun cases and my new cupcake recipe book. I've bought 'Hamlyn 200 Cupcakes' by Joanna Farlow. Preheat oven to 180°C (350°F) Gas mark 4. Line a 12 section bun tray with paper cases. Put all the cake ingredients in a bowl and beat with a hand-held electric whisk for 1-2 minutes until light and creamy. Divide the cake mixture between the paper cases. Bake in the oven for 20 minutes or until risen and just firm to the touch. Transfer to a wire rack to cool. To make the frosting, put the chocolate, milk and butter in a small, heavy-based saucepan and heat gently, stirring until the chocolate and butter have melted. 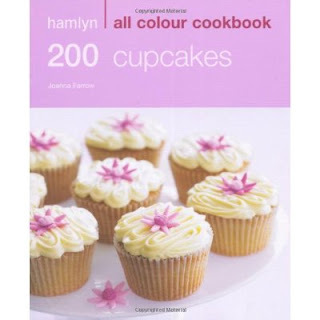 There are so many gorgeous cupcake recipes in this book that I can't wait to try. I've also got a new piping bag so I can't wait to try out all those fancy icing designs! I think you'll be seeing quite a few of my baking efforts over the coming weeks! hi. how may eggs are in the recipe. it doesnt state. thanks.